This program is divided into five years, each year is composed of six (6) blocks of six (6) weeks each, or 36 weeks per school year with approximately 20 hours per week. If we’re good with numbers, we’re talking about 3600 hours of e-athletesism development at the end of the five-year program with a High School Diploma in hand for all graduates! This is the first contact with competitively acclaimed video game in a structured environment. Aspiring players (students) will learn the basics and rules of esports. During this first year of preparation, aspiring players will learn through different types of video game titles present on the esports scene for many years. 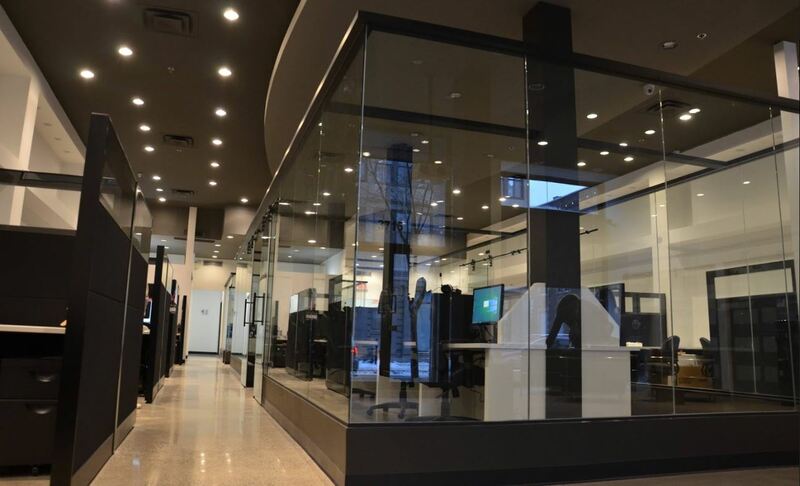 They will be introduced to video games training and will be offered an introduction to several aspects related to healthy lifestyle habits, cybersensitization and the safe practice of video games. This second year represents the introduction to the competition and the various professional trades of esports. Namely this is the first year (I) where each initiated student will be taken to the next level. During this second year, initiated players will participate in their first amateur level competitions. They will use and perfect the general training they received in the first year Preparation program (P). The prevention and healthy lifestyle program will be maintained and completed at the end of the stage. When in third year (II), until the fifth year (IV), each player will be considered a future potential “e-athlete”. He or she will train specifically for a highly competitive video game title in order to achieve the best performance on the competitive local esports scene. Over the last three years, the best players who have learned to train, understand and use the mechanics of gameplay, will be offered the opportunity to represent semi-professional or professional competitive teams. They will be mentored by players of excellence and they will be ready to join, if they wish, the world esports competitive scene abroad. These are physiological and/or behavioral learning and learning outcomes in the areas of health and lifestyle that aim to achieve and maintain physical and emotional well-being with an optimal mentality. These learnings are developed and/or are adapted to the reality of the discipline and they directly complement the other two components of the program, namely the theoretical component and the esport component (practice of the game). • Appreciation and integration of physical activity and healthy daily habits to achieve the physical well-being of the student. WHY INTEGRATE SUCH A COMPONENT IN AN ESPORTS-STUDIES PROGRAM? First, for reasons of prevention. In fact, it is precisely this young clientele of young hard-core players who is most at risk of having deficiencies in the application of healthy lifestyle habits and therefore being in poor health: sedentary lifestyle, poor nutrition, absence of structure in the execution of the game and in the management of time, circumstances promoting interpersonal difficulties, isolation, etc. … These are just a few examples because the list can go longer and that is why it is essential to supervise and train our students from day one in this component to prepare them to become exemplary young adults especially for young e-athletes in the making. Then, for performance reasons. Numerous studies have demonstrated the innumerable links between the body and the brain: the plasticity of the brain allows us to develop cognitive functions and abilities effectively. Based on the principle of transfer of learning, this leads to a gradual increase in performance during the game and therefore, chances of success in achieving the professional level. In short, players become more efficient with hard training and the results show it. During “P” year (P stands for Preparation), we will introduce participating students to several video games: one (1) video game per module of six (6) weeks. These video game titles will be used to introduce key concepts essential to understanding esports workings as a whole. Each module will be divided into two sub-sections and those sub-sections will be maintained for the full duration of each of the six modules. The first section will be theoretical courses which will be addressed various concepts of sports psychology, practice of training, communication, healthy lifestyles and cybersensitization. Technical principles of the video game approached during the module will also be covered. The second section consists of structured gameplay time. During this time period, participating students will be supervised by a personal trainer specialized in the video game title. Participating students will have to apply the principles that have been taught them at each training session. From Monday to Friday starting at 1:30P.M. until 5:30P.M. Students may choose their favorite esports video game title (game of their choice) on which they can receive structured training. During this first module, we will let participating students play the video game(s) of their choice. Indeed, before we can effectively teach a discipline, we will need to explain, at first, a set of theories around the practice of video games itself. In this module, we will lay the groundwork for the course material that will follow for the next four years or so. We will insist on the “Why” and on the “How” the aspiring student must play so the their subsequent practice (the other five modules of the year and the following years) be oriented on aspects closer to mechanical gameplay. We will explore the different types of video games and the underlying concepts that govern them, as well as the link that unites them to esports. We will lay the basic vocabulary of the video game. The right vocabulary is very important to allow the student to name the objects of the game, not from a descriptive point of view but from a functional point of view. Understanding the interactions of concepts specific to video games (such as vocabulary to name only one), as well as their evolution over time, will allow the student to address each new esports title video game with a baggage of defined concepts thus increasing its speed and depth of acquisition performance from one title to another. Finally, understanding the various aspects and various basic mechanics associated with a type of game, as well as their evolution of application and use across time and space, will enable the student to approach learning, and the understanding of a new game mechanic in a fast, efficient and uniform way, using the previously acquired fundamental knowledge. The second module will present the continuity of the teaching of concepts of ergonomics, sports psychology of module one as well as an introduction to the training of a video game classic title in esports; StarCraft II. Through this game, we propose to participating students to learn to interact with several new concepts. 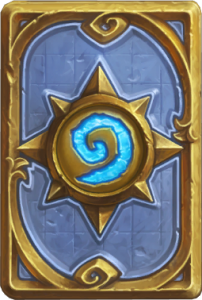 In the third module, we will introduce participating students to the world of card games through the popular Hearthstone Trading Card Game. As with StarCraft II, students will have to learn a great deal of game content and concepts.. In the continuity of dueling games, during the fourth module, we will offer participating students to discover the world of combat games in duel and melee. These games will be important to introduce central concepts such as footsies, hitboxes and mind game. Like the concepts discussed in previous modules, these concepts are found in the majority of games that pit two or more opponents, but these concepts are particularly important and central to fighting games. That’s why we cover Super Smash Bros and Street fighter V in this module. 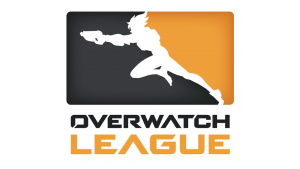 Esports giant Overwatch will be the first team based video game proposed to participating students. Thus, it will be during this module that the premises of team play, team communication and team psychology will be discussed. Overwatch also offers a system of classes and roles that aims to orient the player and his teammates in a flexible model of strategy. Finally, Overwatch is the first and also the only first-person shooter discussed during the first year program. League of Legends is at the crossroads of previous games and it is logical that it is placed at the end of the course to close our first year preparation for participating students so they can become initiated. 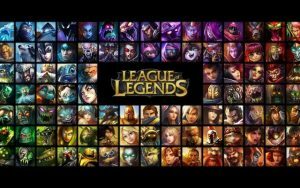 In League of Legends, each student will find aspects of scales of management, creation and strategic development. Environmental management but also the mind game and all aspects of team play. We will use the duration of this module to return to these concepts and deepen them as needed. This last module of the year will be an opportunity for us to come back on some general aspects not covered in the first modules such as: time management, timing and cooldowns. Also, since this is our students’ very first year, we want to keep flexibility for this last module to cover emerging needs during the school year.